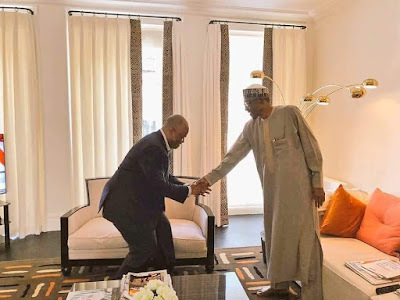 Senate Minority leader Godswill Akpabio has visited President Muhammadu Buhari in London as all points to his defection from opposition PDP to APC this week. Akpabio's defection is almost a concluded deal as he has gotten the nod to join the Party. He had earlier met with Vice President Yemi Osinbajo,National Leader of APC Asiwaju Bola Ahmed Tinubu and other stakeholders of the Party on the matter.